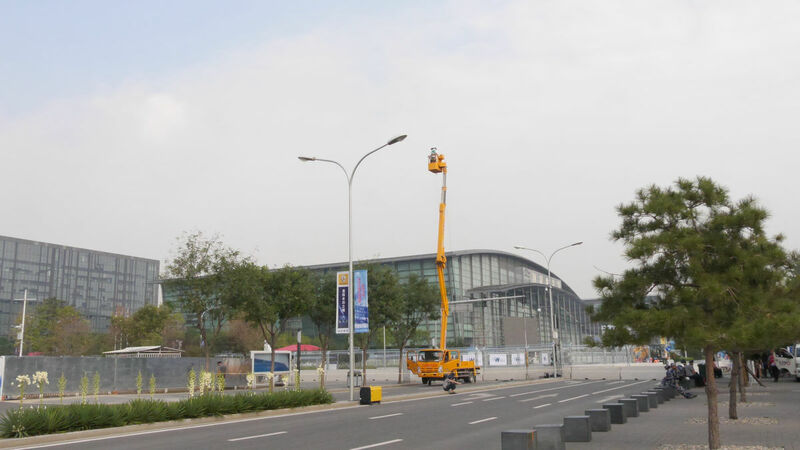 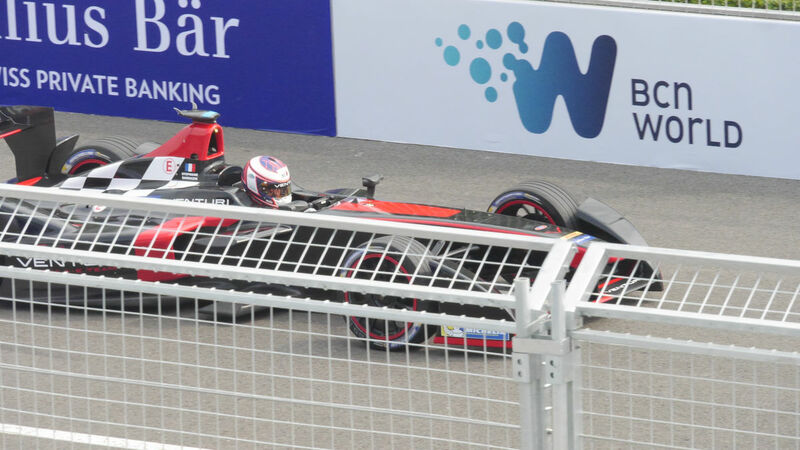 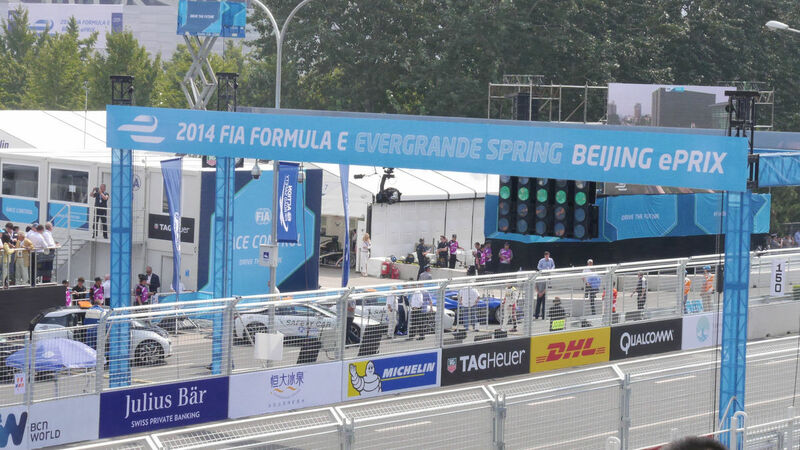 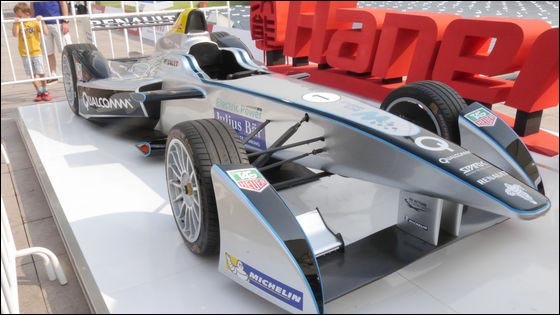 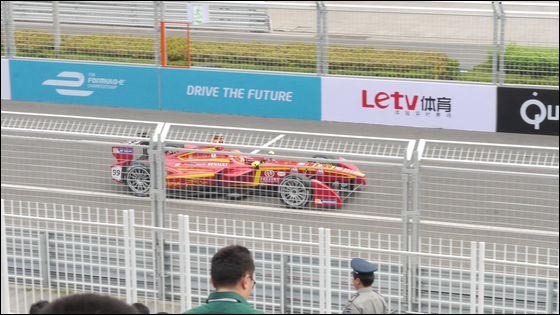 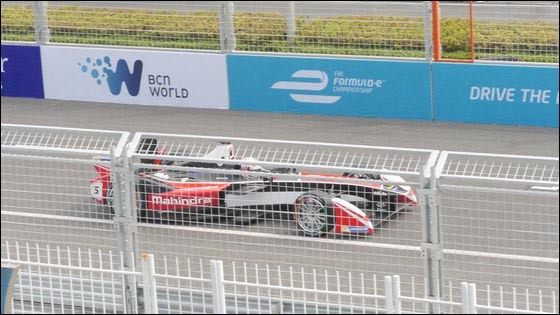 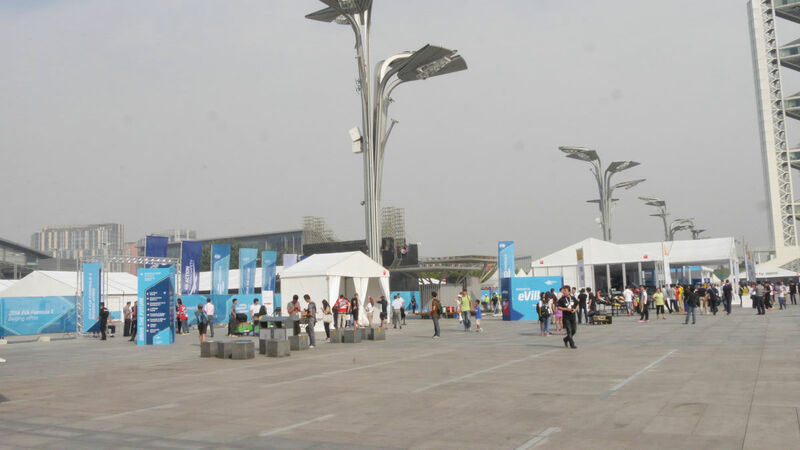 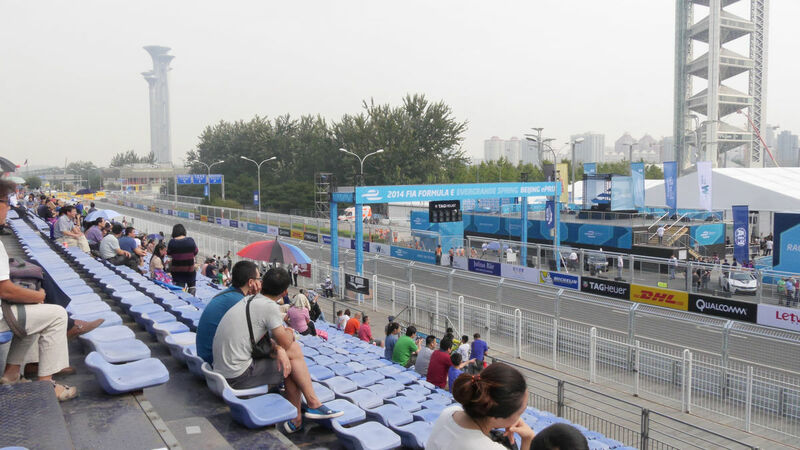 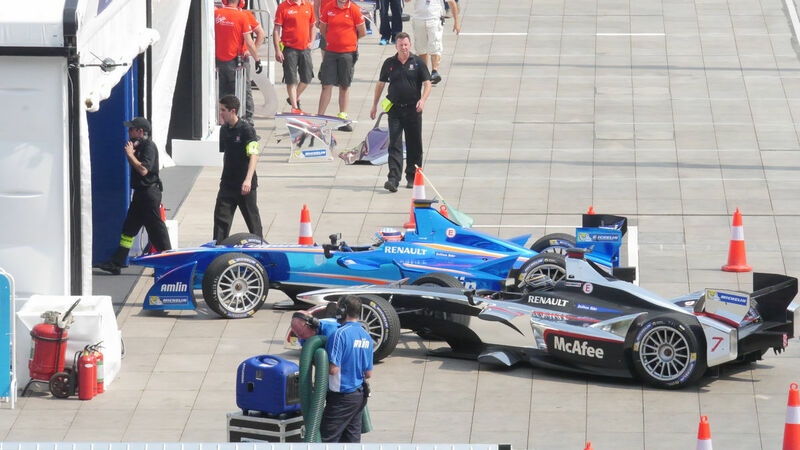 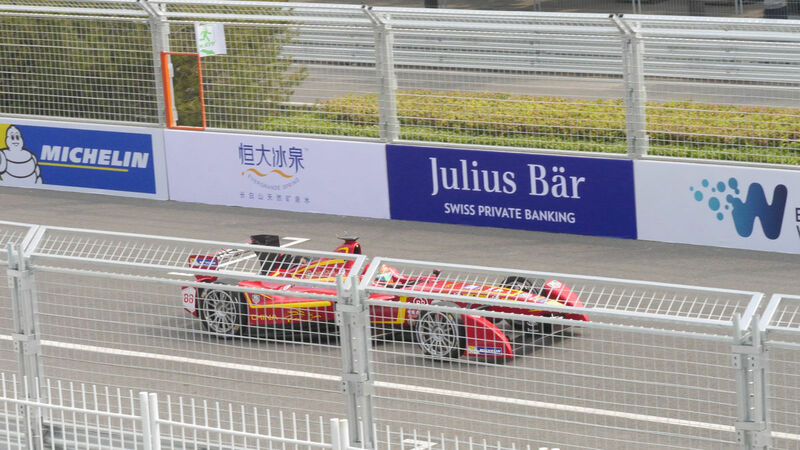 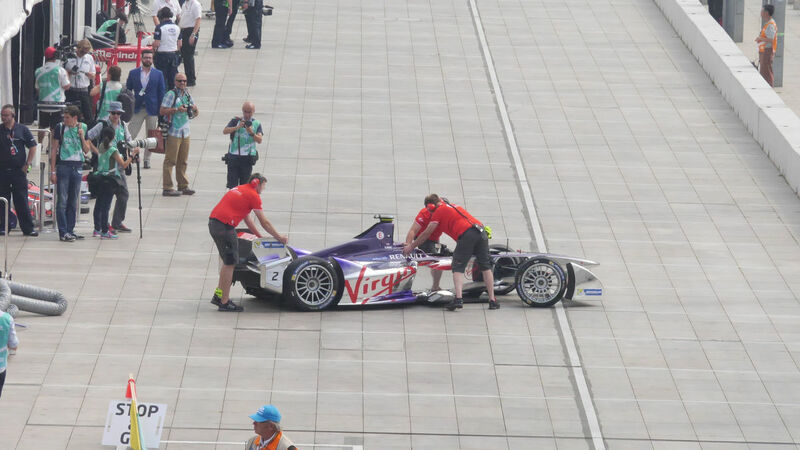 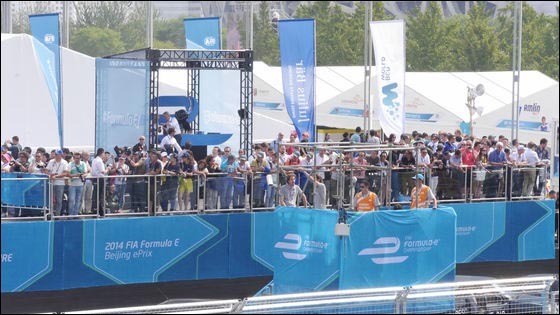 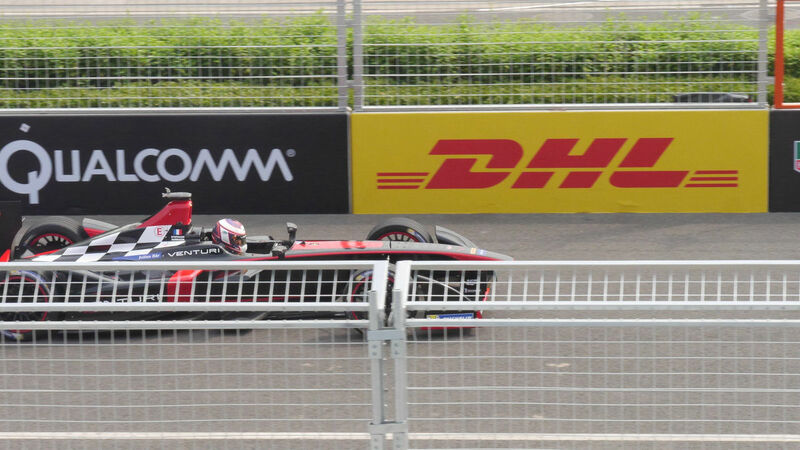 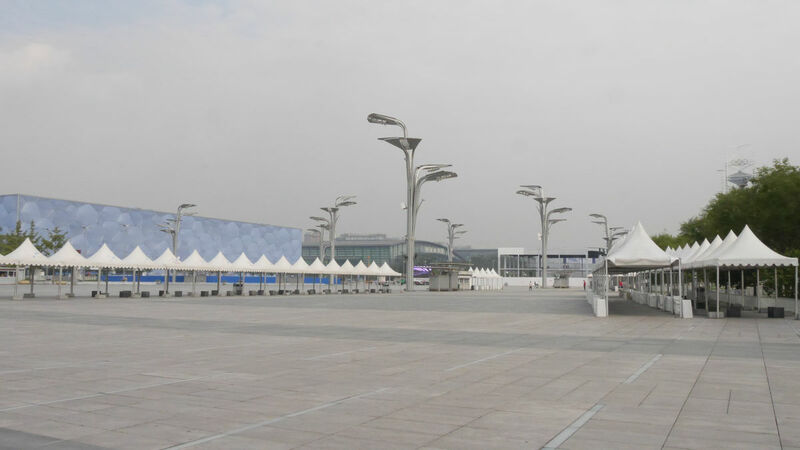 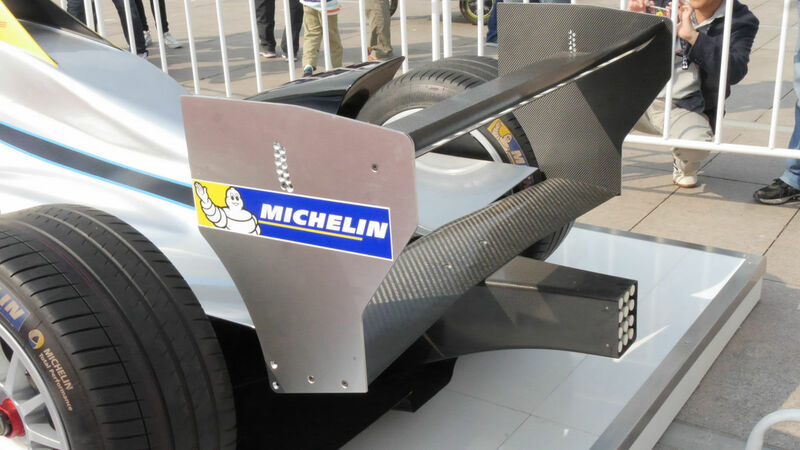 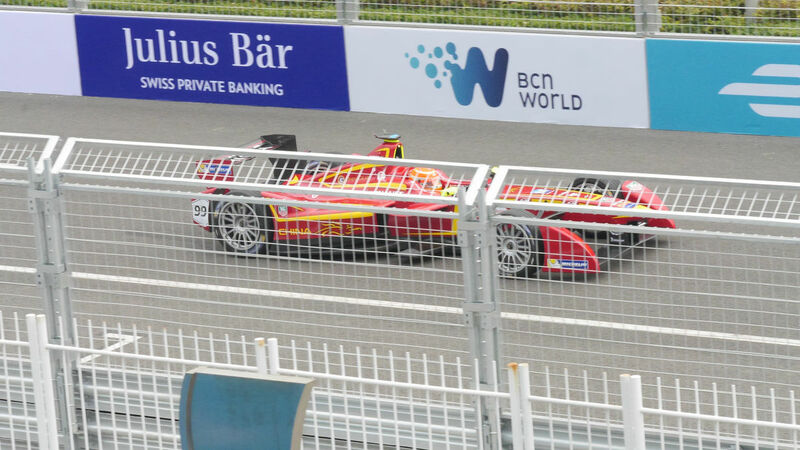 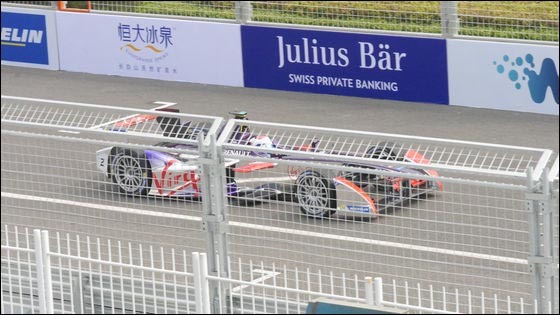 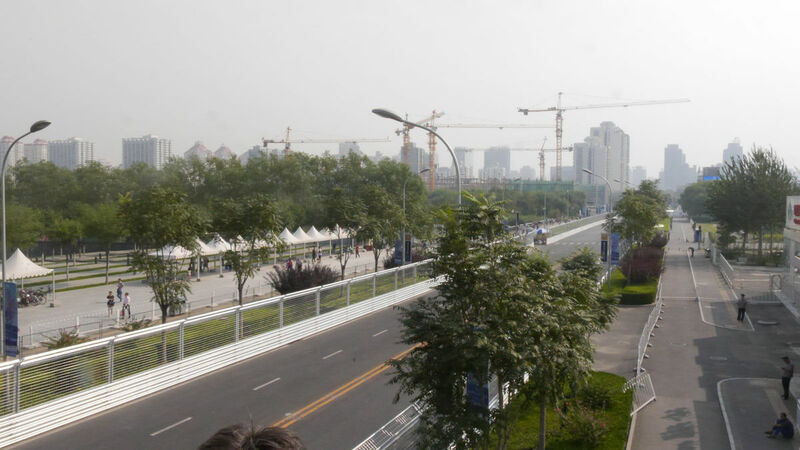 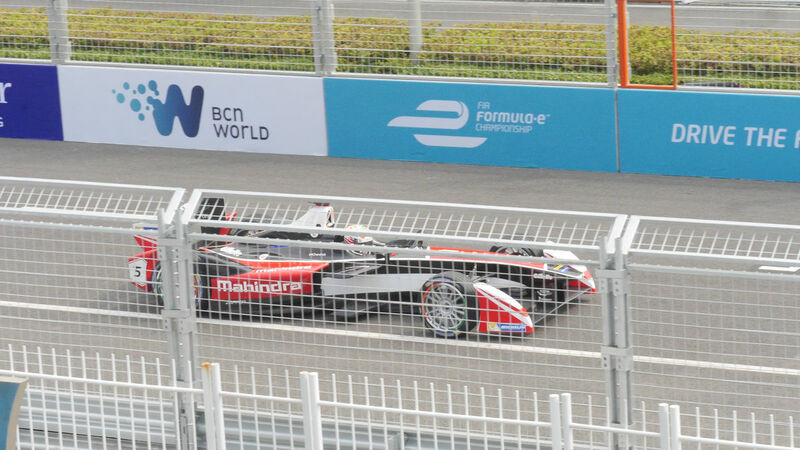 Electric F1 to be held on September 13, 2014 "Formula EThe opening race · Beijing will soon start the race. 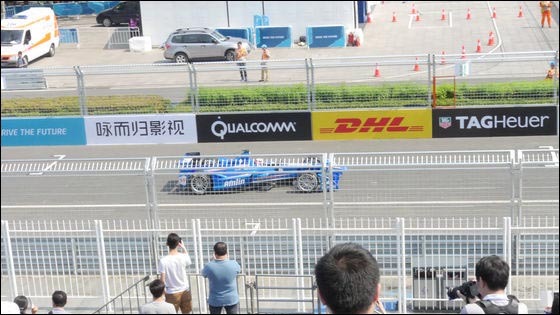 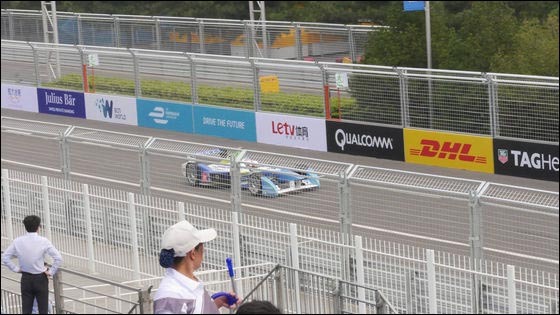 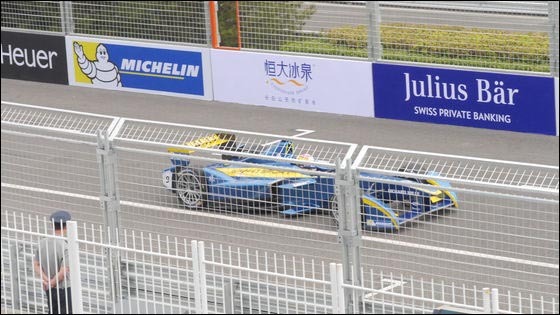 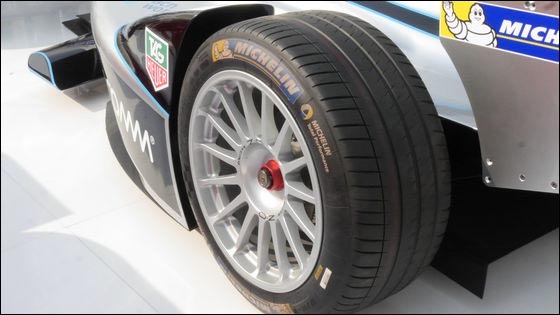 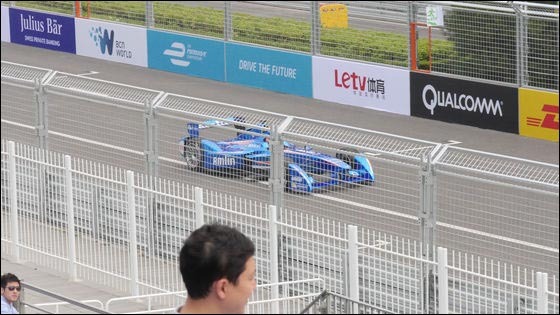 Japanese driver Report on the start of the world's best EV (Electric Vehicle) race which is exciting by emergency participation of Takuma Sato from the local · Beijing hasty. 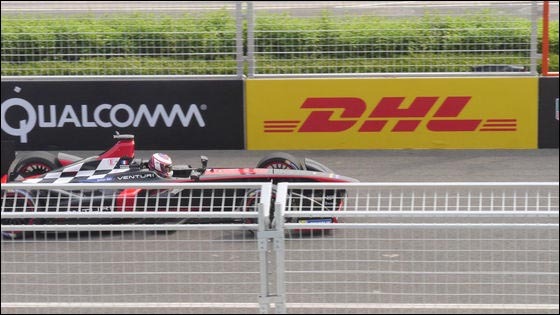 The final race will start from 16 o'clock (Japan time 17 o'clock) and will start broadcasting from 16:45 Japan time on TV Asahi series. 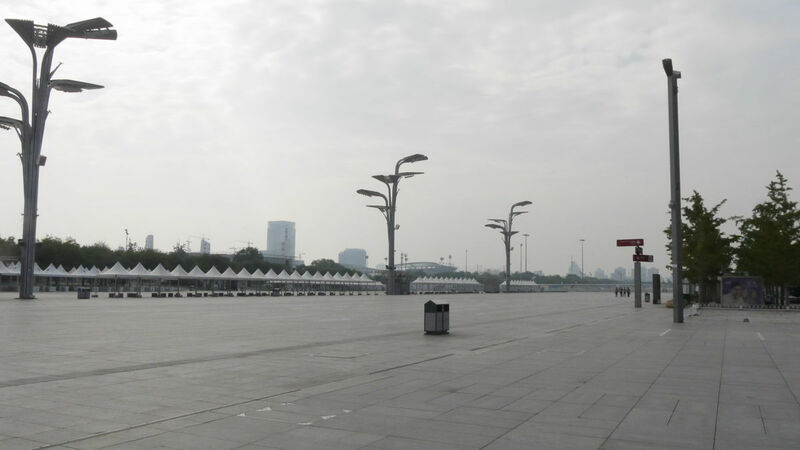 The entrance gate is the nearest station of subway line 8 "Okubayashi Park Park station", but I will dare admire from "Okinawa center (Olympic sports center) station" next to me. 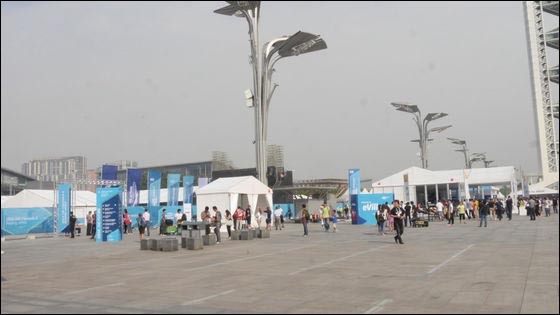 What you can enjoy a lot from hereChecked on the previous day. 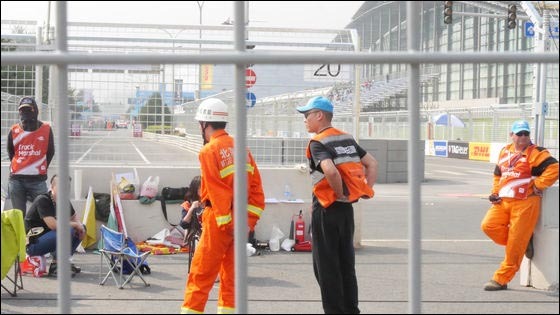 Arrived at the 10th corner. 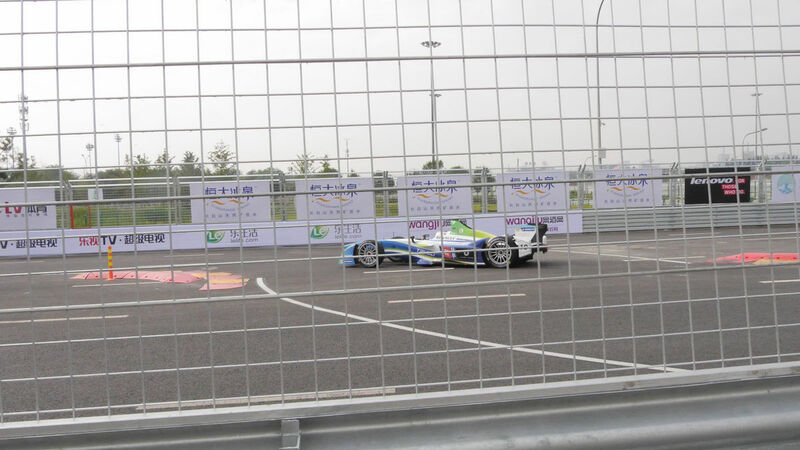 The first free practice was taking place. 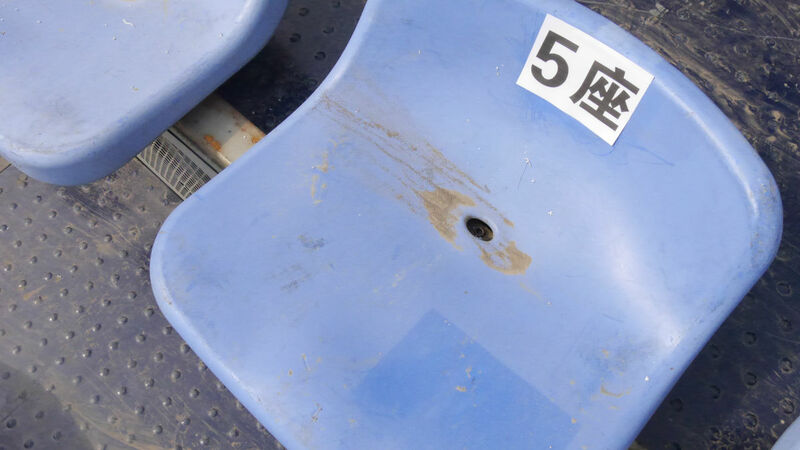 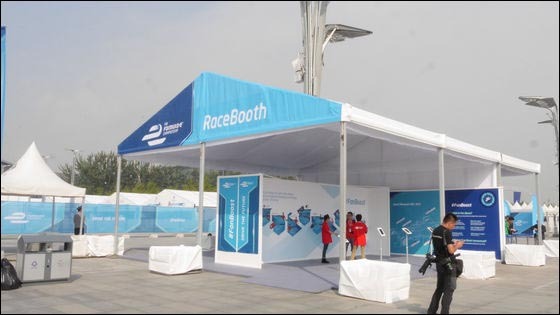 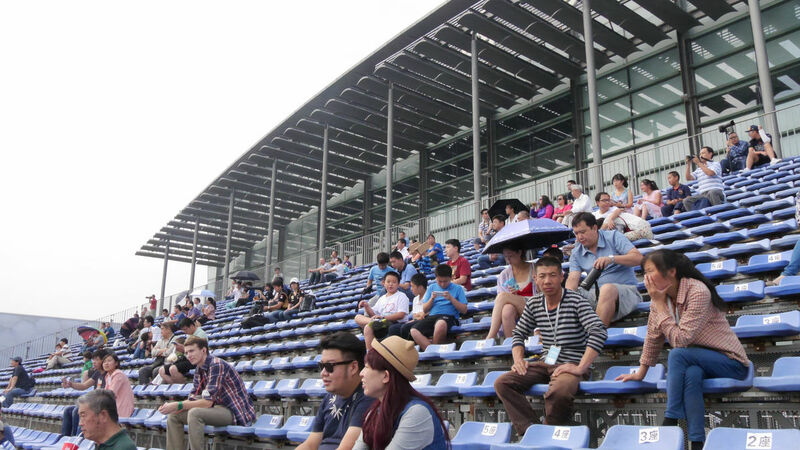 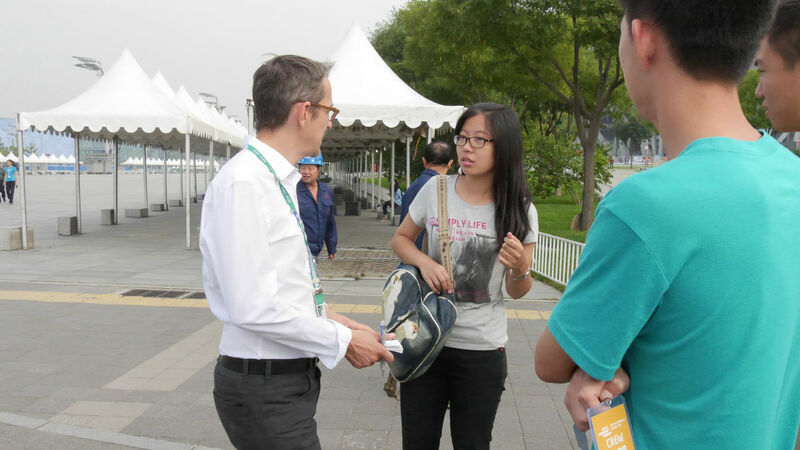 Official staff were listening to impressions about the Beijing race program. 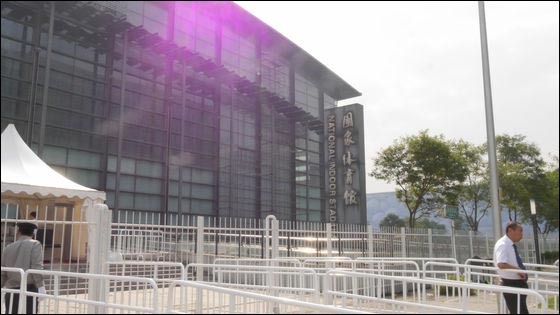 I answered "Too Bad (no good at all)" because "information" is not available on site and there is not too much guidance. 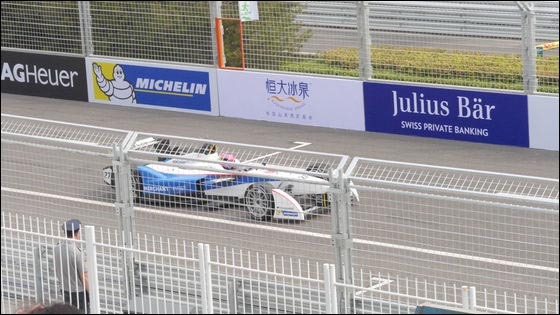 The time is past 9 o'clock local time. 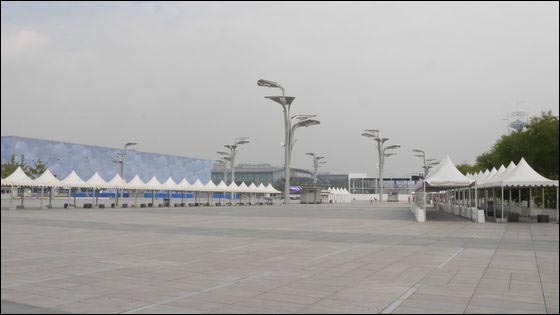 There are few people in the square. 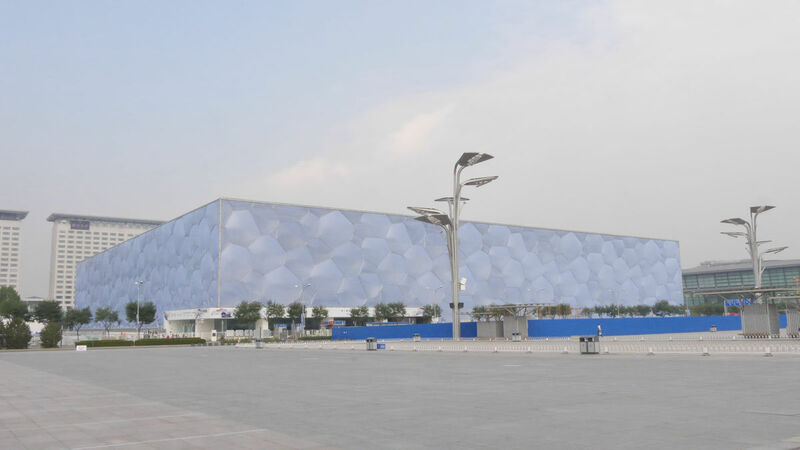 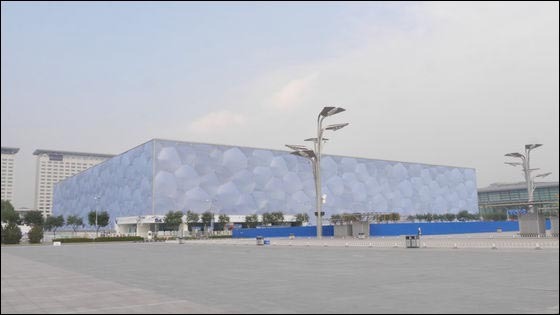 Water cubic (Beijing National Swimming Center) where the Beijing Olympic swimming competition was held. 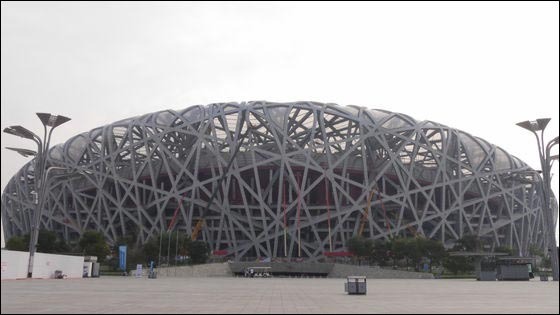 Bird's nest is impressive full mark. Is this crane a camera? 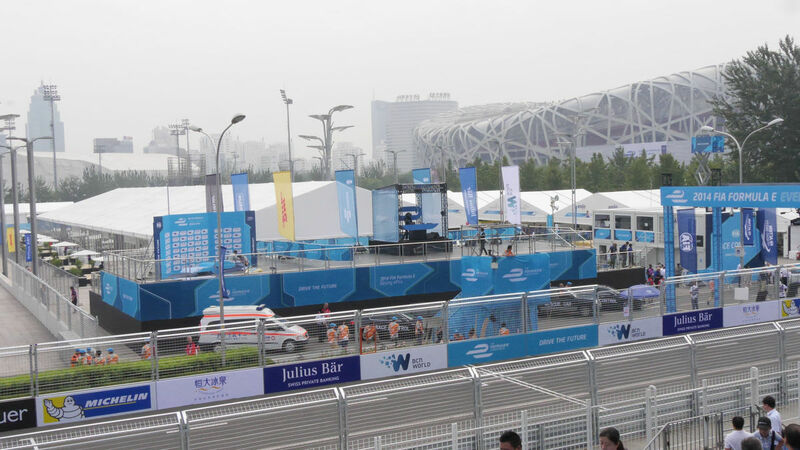 The inside of the course was crowded as early as possible. 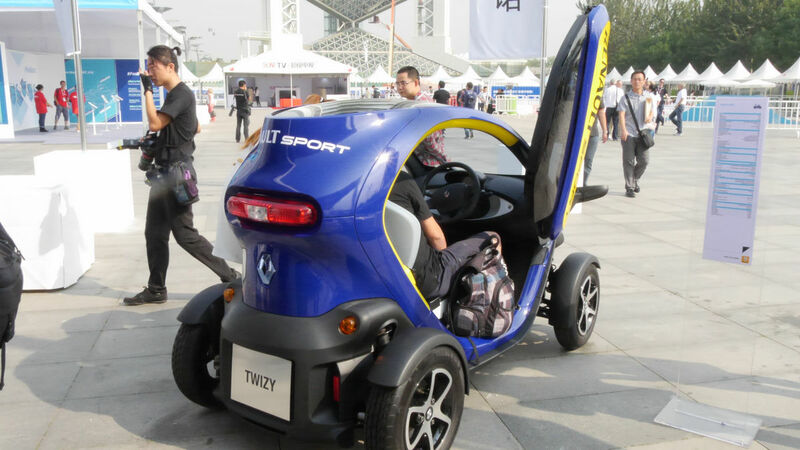 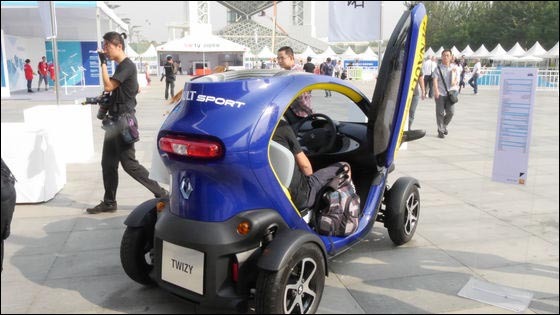 Renault of a one-seater commuter "TWIZY". Gorgeous gull wing. 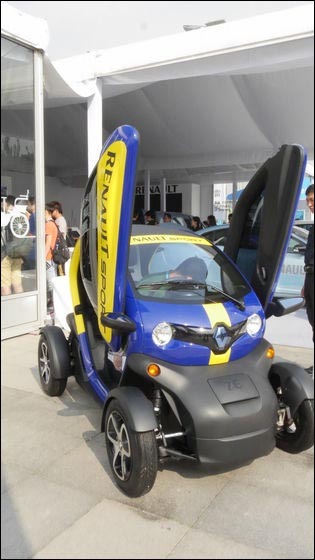 Of course it is an electric car. 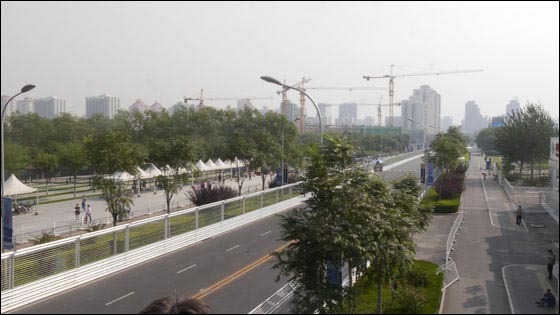 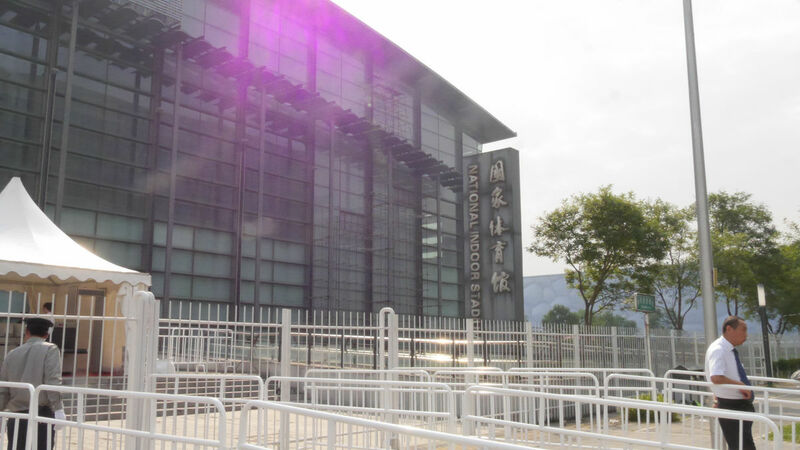 A compact radio control that reproduced the city course of Beijing. 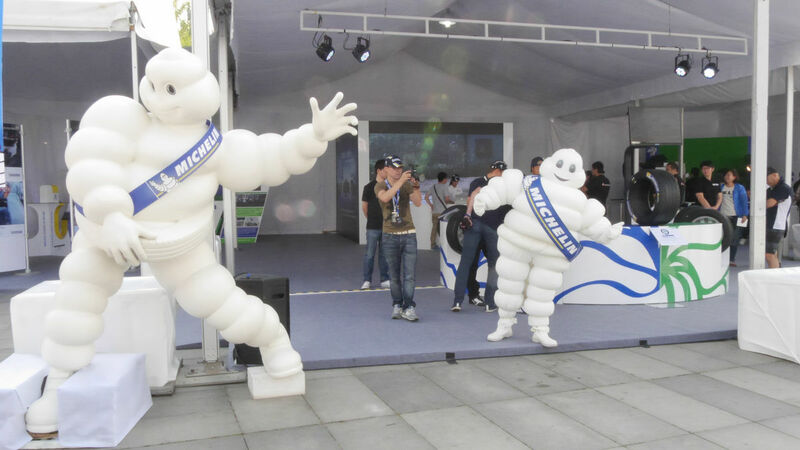 Michelin man is appealing the booth with comical movements. 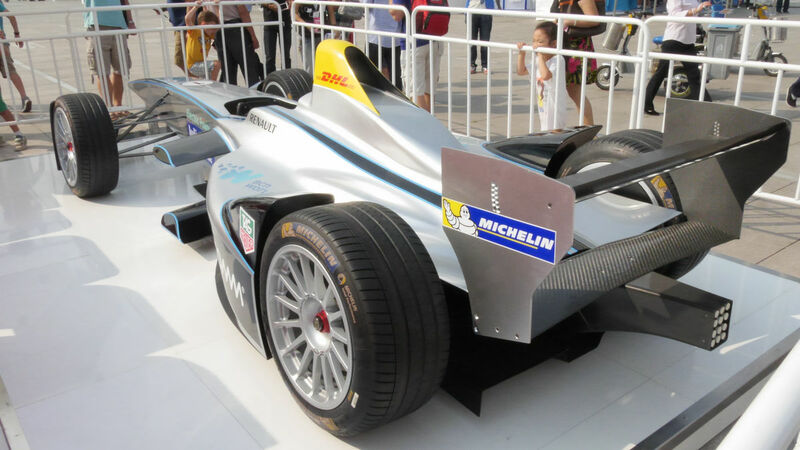 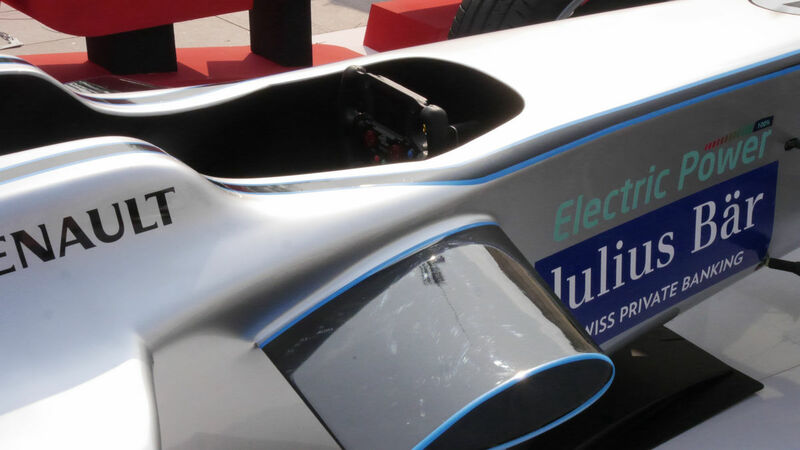 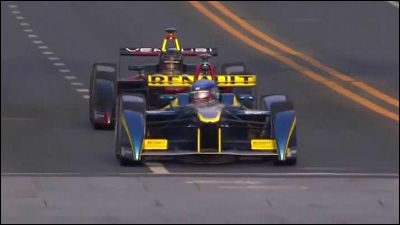 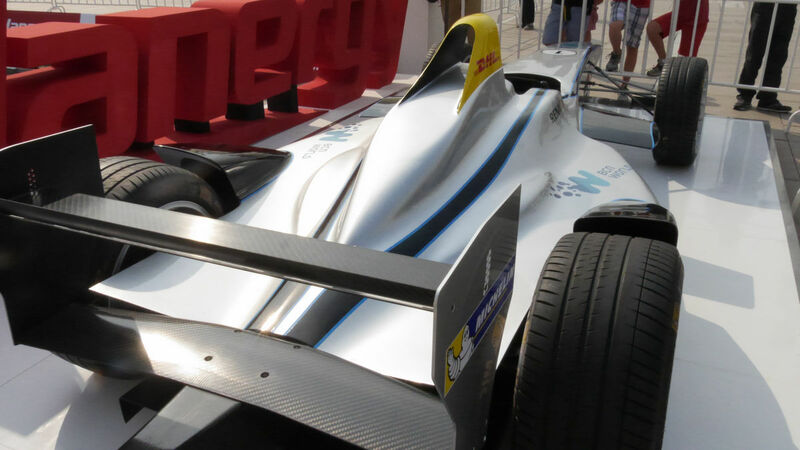 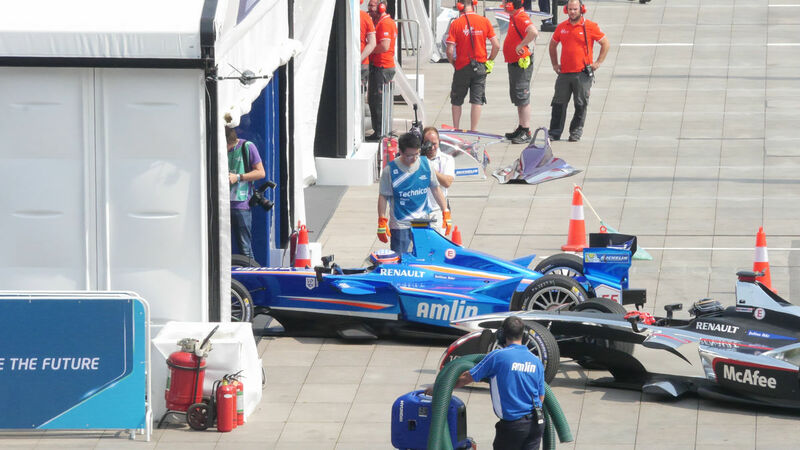 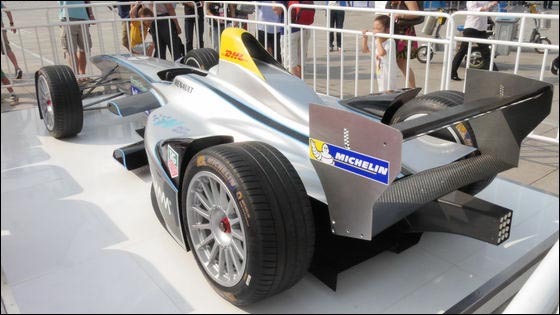 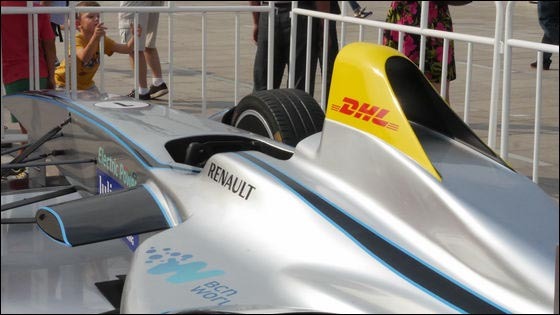 Actual vehicle of Formula E "Spark · Renault SRT 01E"Was also exhibited. 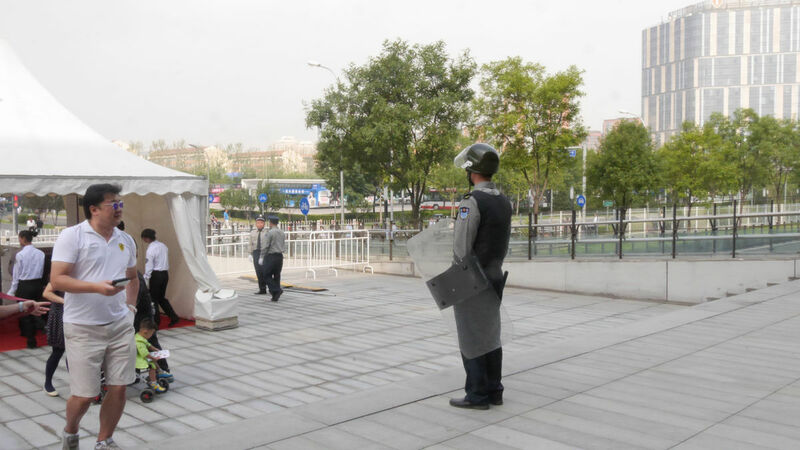 A gate just covered with cloth. 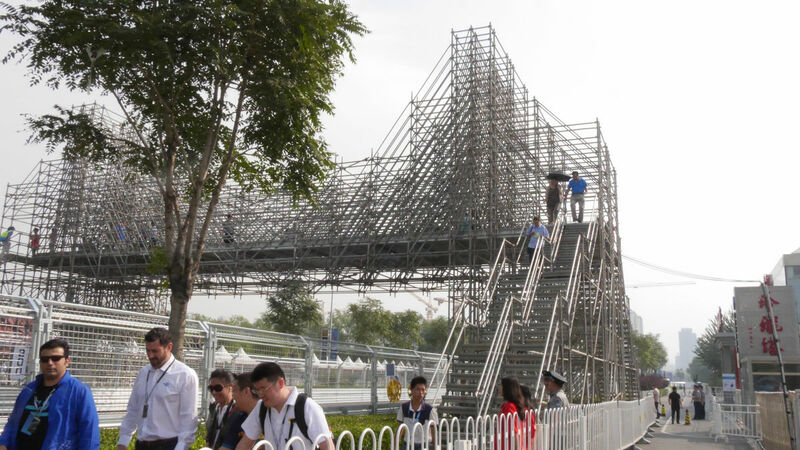 The "bridge" crossing the course is a state of bared only by footing a foothold. 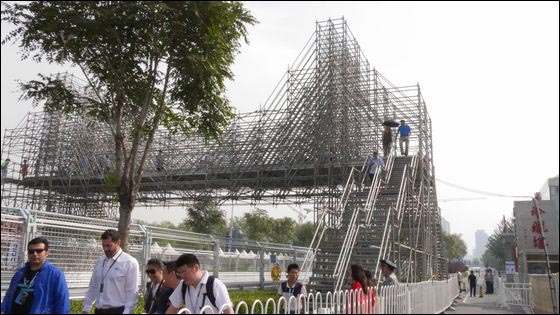 Looking at the course from the top of the bridge is like this. 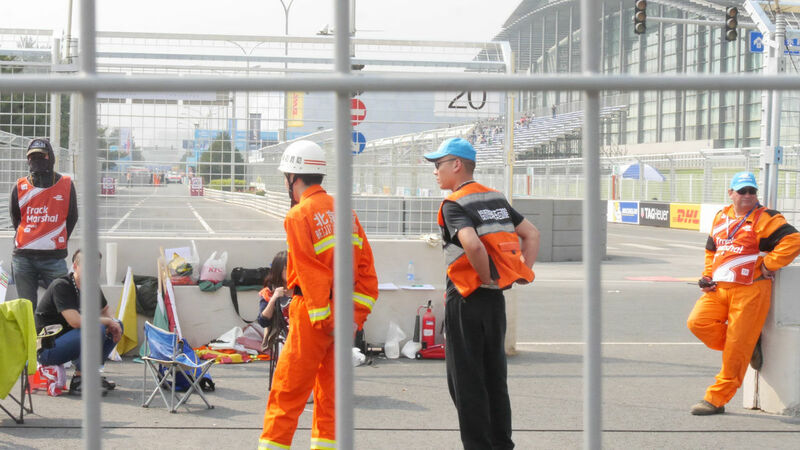 Course Marshall is gradually becoming nervous. 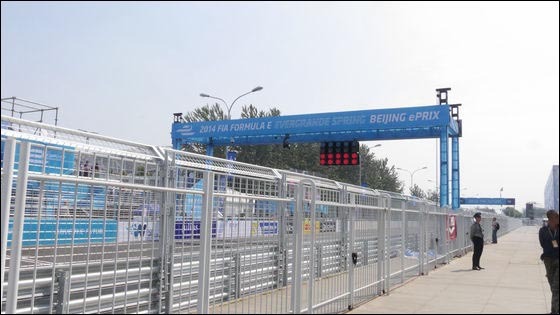 The entrance to the Grand Stand stand before the home straight was at the gate of the National Gymnasium. Metal detector on gate. 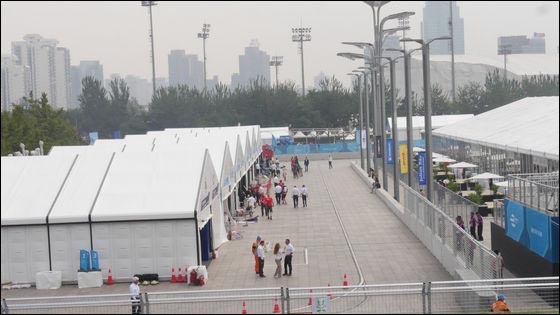 No beverages can be brought in. 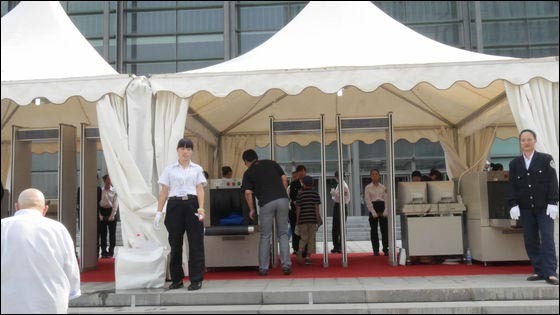 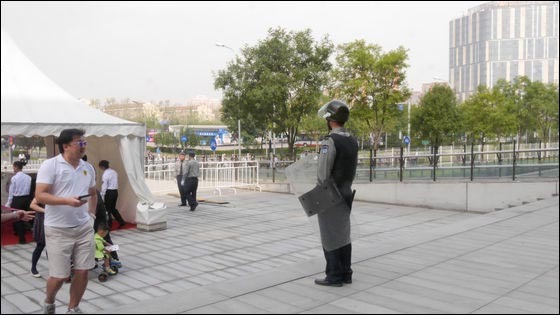 Security guards have a fresh atmosphere. Drinks and popcorn · cup noodles etc were sold at the shop inside. 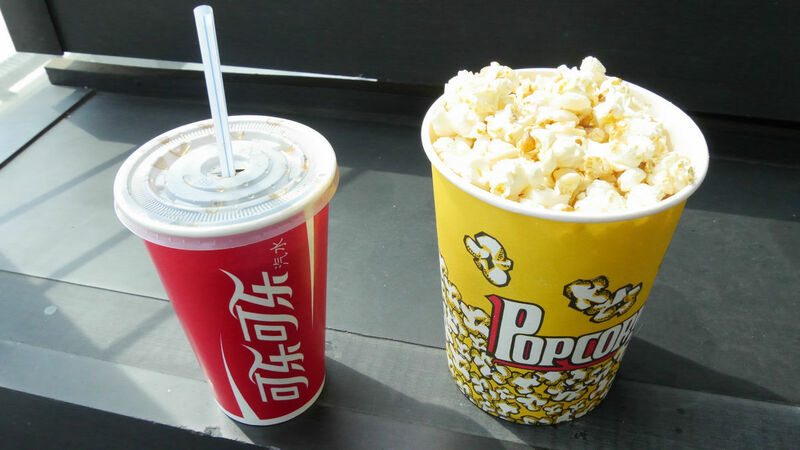 Both coke and popcorn cost 10 yuan (about 180 yen), surprisingly reasonable. 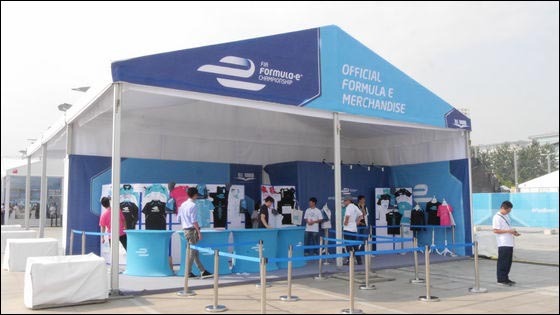 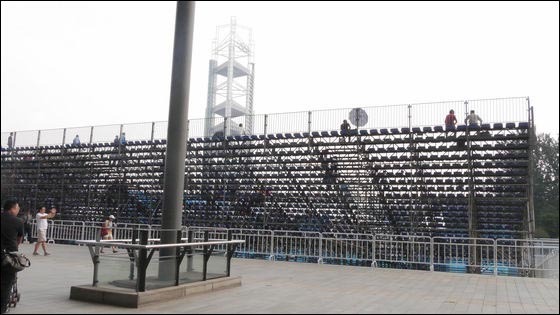 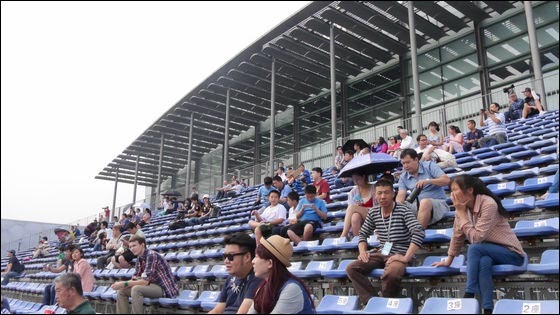 Because the home straight is short, the stand is also small and surprisingly small. 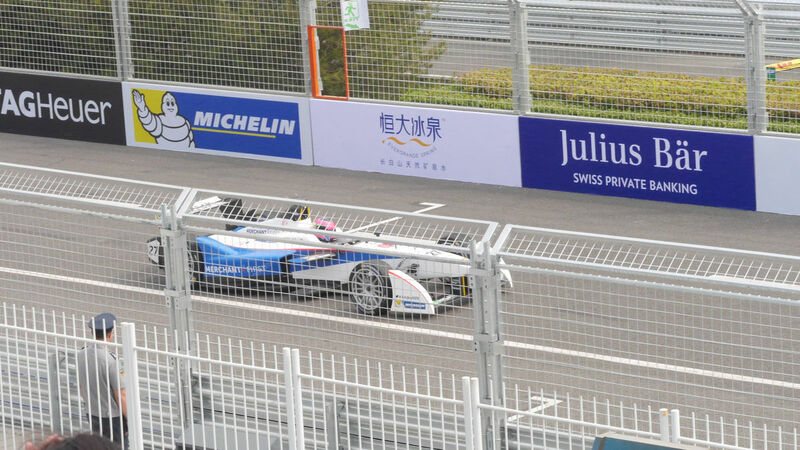 It will be the second free practice session soon. 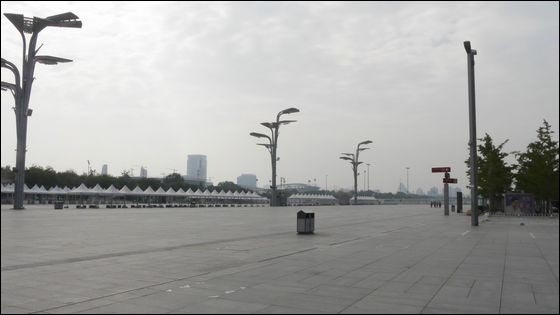 The stand still stands empty. She was covered with sand whether it was yellow sand. Looking at the starting grid direction looks like this. 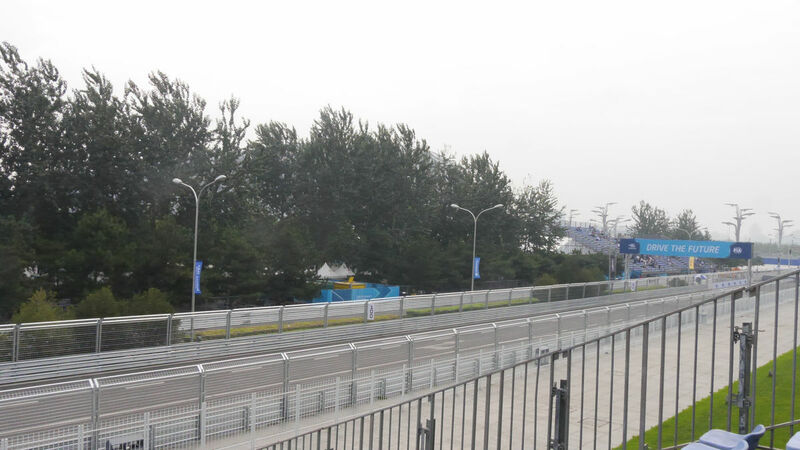 The first corner on the far right of the photo. I can see the podium behind the course. 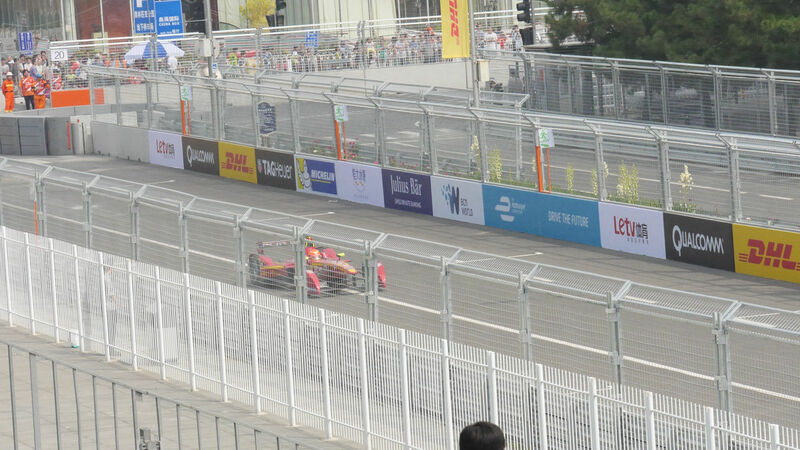 Finally the second free practice starts. 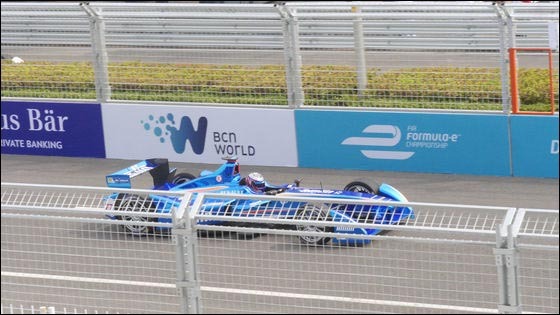 Takuma Sato also blew up. 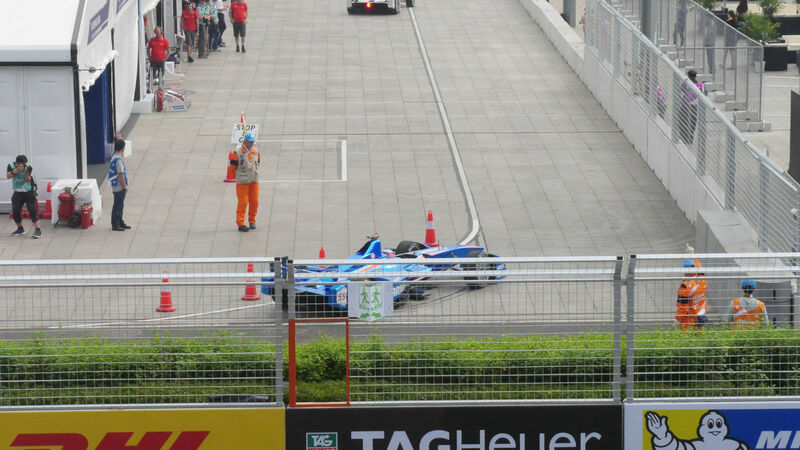 Takuma Sato who came back to the pit. 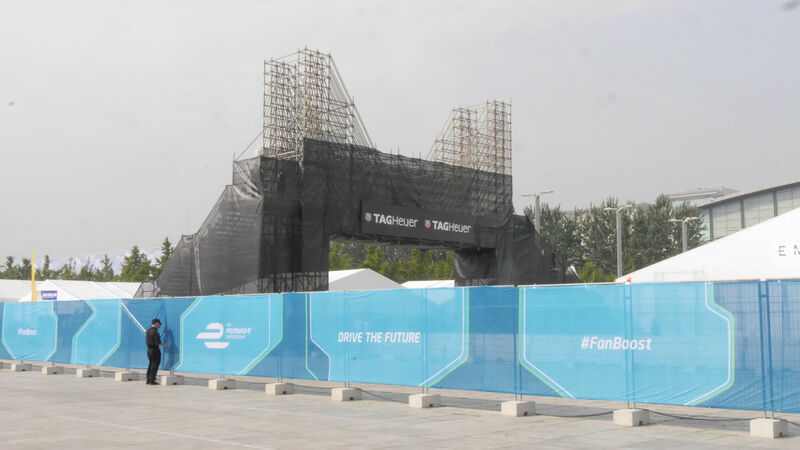 Free running is different from saving and running machines and running machines. It seems that bargaining has already begun. 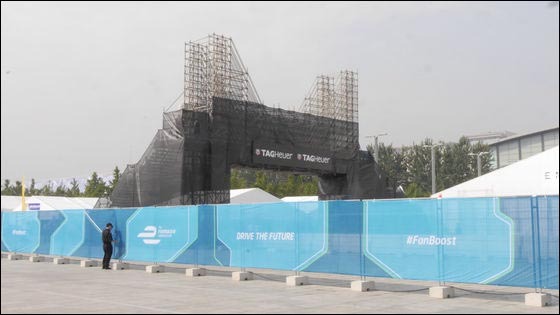 Free running is also over. 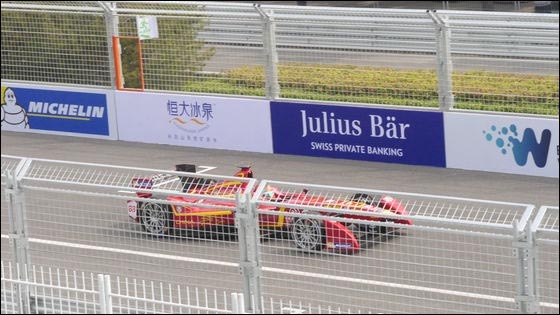 Another is qualifying for one match. At noon of the local time, the signal is lit in green and the start of qualifying starts. 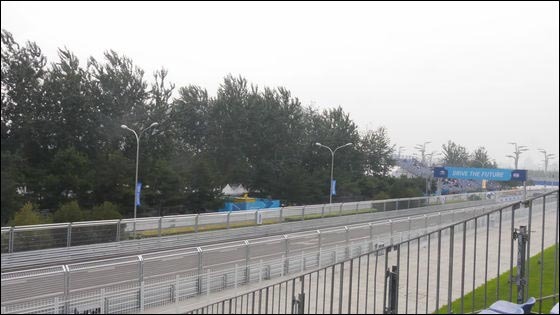 I'm watching the press as well. Takuma Sato appeared in our second set. Takuma Sato returned to the pit after finishing the qualifying attack. 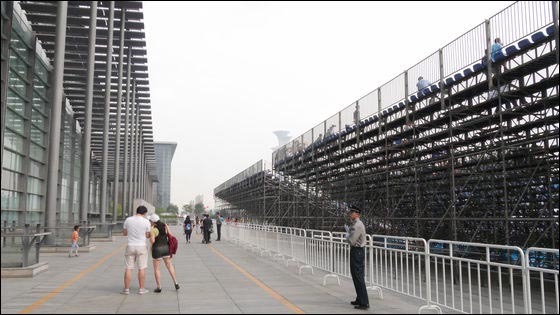 Many things ran out of preparation. 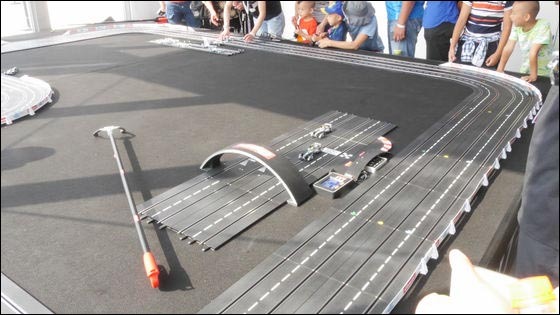 The car itself was better than practice, but the attack lap slowed down before. 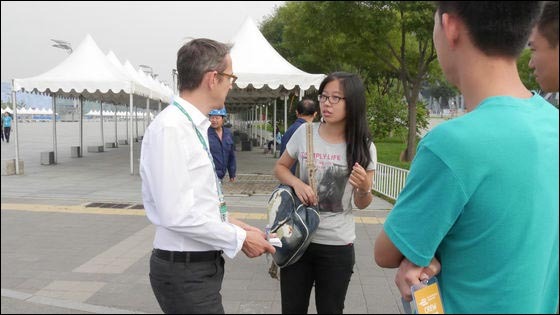 I'm talking with judges on the matter of jamming. Sorry for the time lost. I tried to recover but it did not work. Preliminary contests are almost unknown. I wanted to shorten the time a bit more, but I knew the movement of the car well. 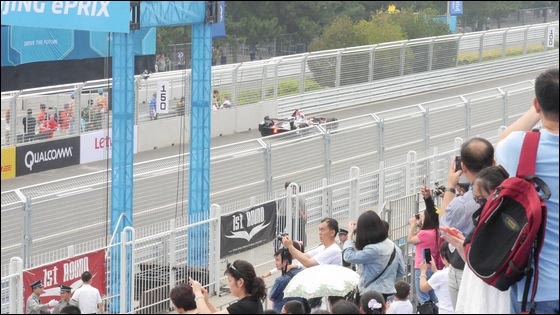 It is the next (final). 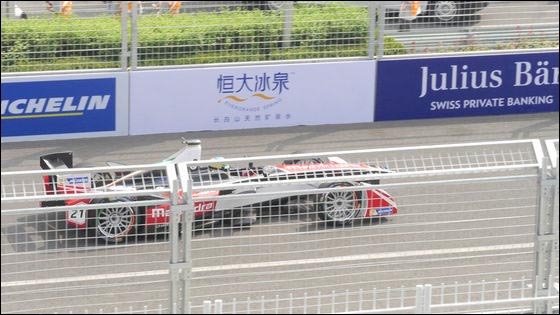 It is difficult to pull out if it is the same motor map. 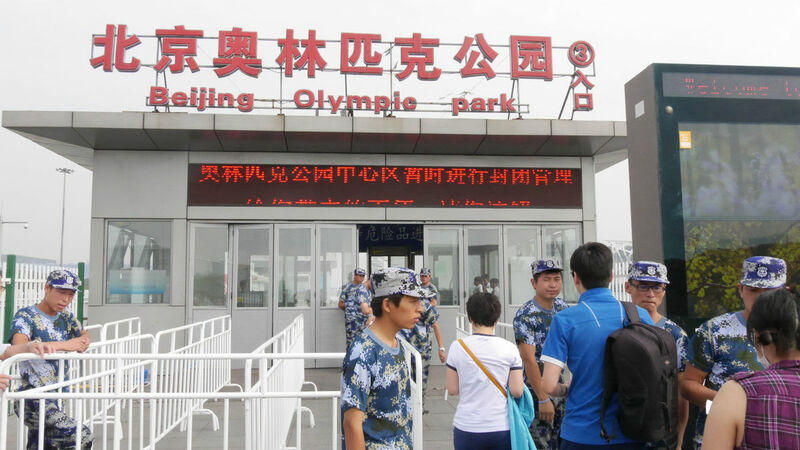 I want to raise the rank in the dumpling state of the start. 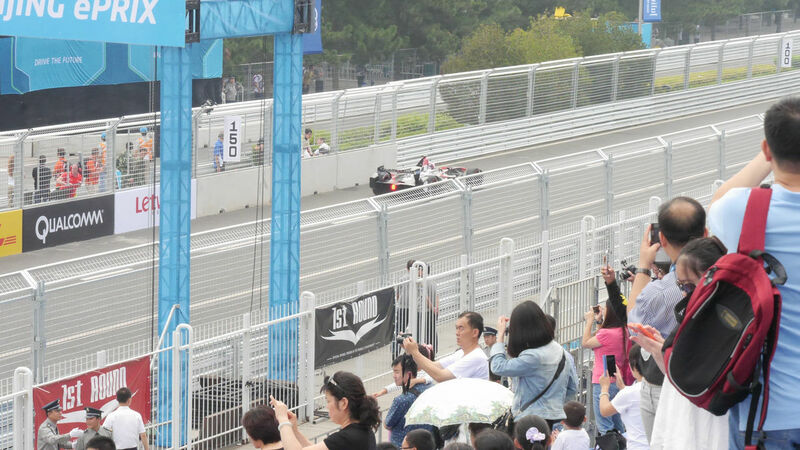 The chicane is very tight. 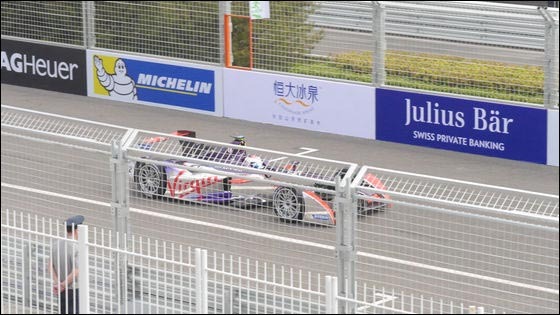 I want to position up before that. I want to pull out the whole as a whole without making mistakes and go up. 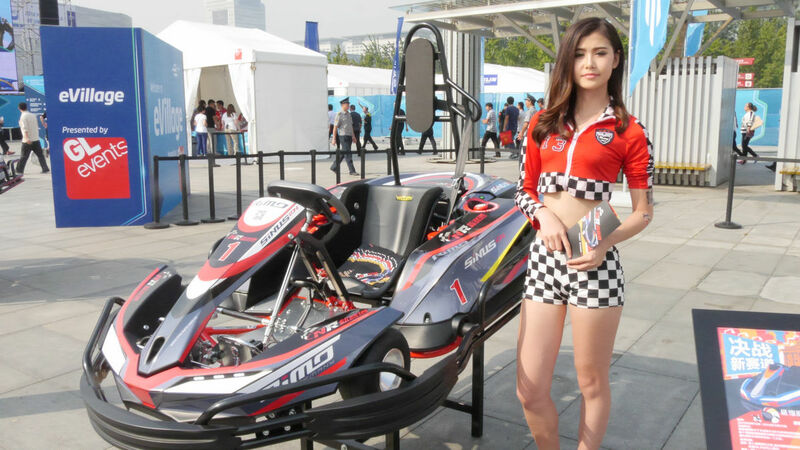 Red Bull Crashed Ice Boston 2019 'in which hot battle is spreading on ice What is the result of Japanese players?